Much of the land in and around the San Antonio Missions National Historic Park is referred to as "disturbed lands," or areas that have been engineered for human habitat. The process of human engineering of the land and water in the San Antonio River Valley dates back to two Spanish missionary settlements between 1718 and 1720 and another three Spanish missions in 1731. Water diverted into an 18th century acequia, or irrigation ditch. Human reconfiguring of the land continued through the 1950s when, for example, the San Antonio River was channelized near the park to assist with flood protection. Today, human engineering of the San Antonio River Valley continues and is necessary to provide water to support San Antonio's growing population. Human changes to the historic San Antonio missions area has been ongoing since the creation of the national park in 1978 to support historic preservation of the area. The park has acquired many acres of property to restore the landscape and protect cultural resources. Much of this land was occupied by modern homesteads in various stages of use and was heavily disturbed. The park has restored most of the areas by removing buildings and debris in an attempt to recreate the landscape of the Spanish colonial period and also to meet modern health and safety standards. Many of today's plowed fields and old fields (succeeding to huisache tree uplands) are located where historic labores (fields) were tended during Spanish colonial times. A restored grassland in the upland areas of the Lower Pecos Canyonlands. During wet climatic intervals the grasslands flourished, and herds of buffalo migrated into the area. During one such interval about 2,800 years ago, hundreds of buffalo were driven off the cliff above Bonfire Shelter. Photo by Phil Dering. 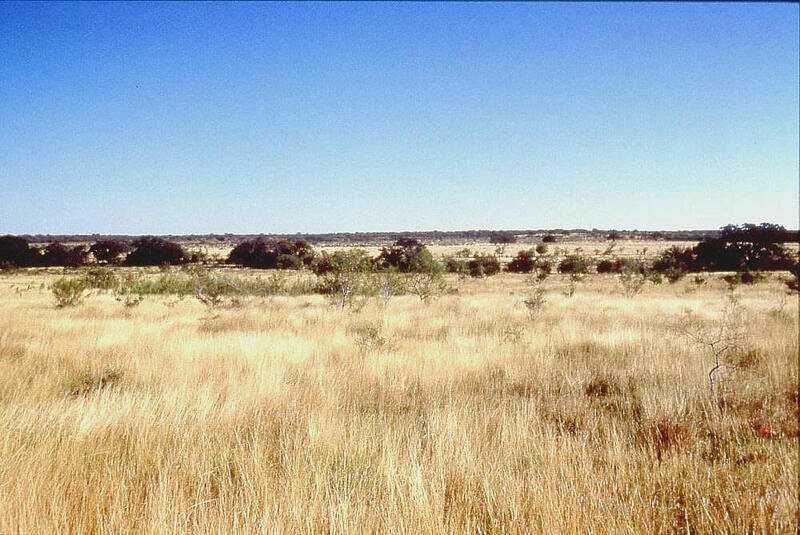 Areas with the historic acequias were at one time dry scrublands. Because of water provided by acequias irrigation systems (historically engineered canals that carry snow runoff or river water to distant fields), thick riparian vegetation with tall trees have replaced scrublands in some areas. However, drought conditions in 2011 turned Texas and parts of the Plains into a parched moonscape of cracked earth. According to an Aug. 5, 2011, Associated Press story, the drought "could persist into next year, prolonging the misery of farmers and ranchers who have endured a dry spell that is now expected to be the state's worst since the 1950s."